send you a copy our catalog. Click for discounts of up to 32% and state contract pricing. 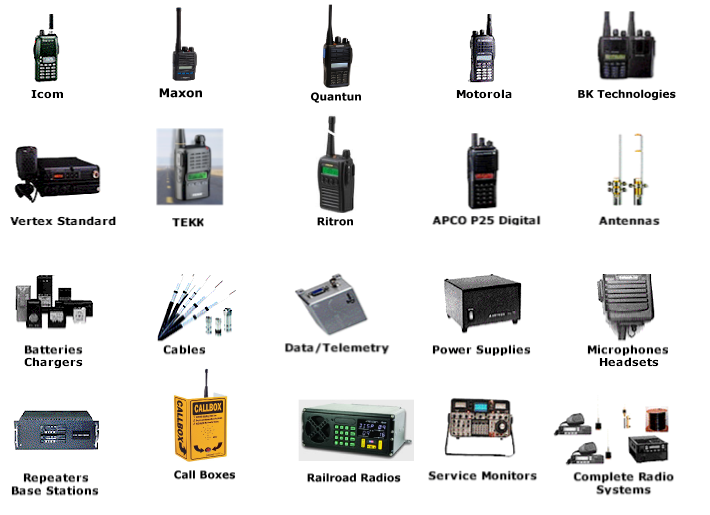 Economy 2-Way Distributors Inc. is a wholesale distributor of low cost two-way radios, pagers, and test equipment for all communications needs. We have been in business since 1984. Portable and mobile radios, both digital and analog, are available in all business band or consumer frequencies. High power (50-120 Watt) mobiles are also available. Note our completely private and voice scramble capable radios with VOX (i.e., Quantun Electronics - click here). Accessories include antennas, batteries, cable, power supplies, towers, and more. Radio rentals are also available. Cellular and PCS antennas and accessories are also just a phone call or an e-mail away. Special prices also exist for government agencies, government grant money, and dealers involved in government sales. Economy 2-Way Distributors is located in tax-free New Hampshire where we offer same day shipping along with discounted factory prices. We have been in business since 1984 and offer attractive factory prices on most major brands, accessories and test equipment. Don't Risk It! While our competitors sell radios and hardware only, we offer complete systems and licensed radios with no extra monthly charges! Shipped ready to plug in and install. Call for Advice! All radios on our site mix readily with Motorola Systems at half the price and up to a 3-year warranty.